Colgate is now offering this custom ceramic bowl at any Wellcome store in Hong Kong. Simply purchase any two tubes of Colgate toothpaste and you are entitled to the B.Duck custom branded bowl! Hurry make your purchase now and grab this on pack promo before they run out of stocks! 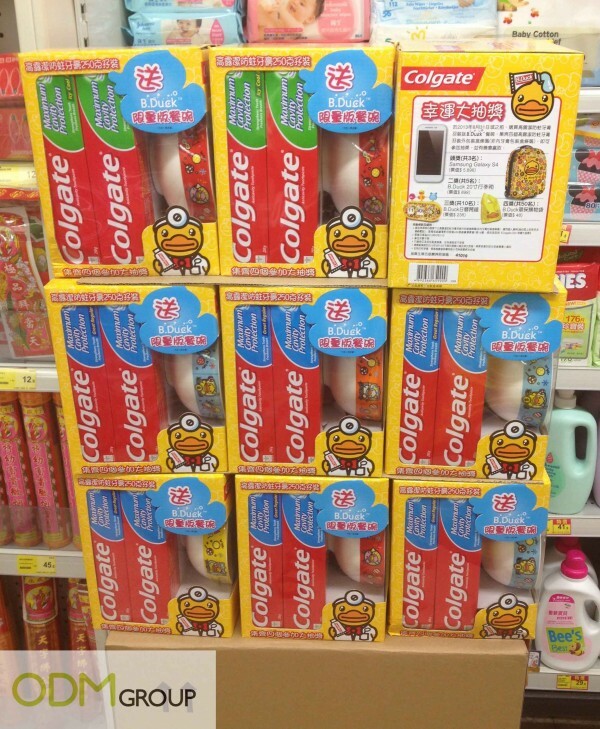 Colgate has always been active in offering on pack promo to boost their sales. Check out some of the promotions that they have done previously! Custom Plates As In Store Marketing By Colgate! 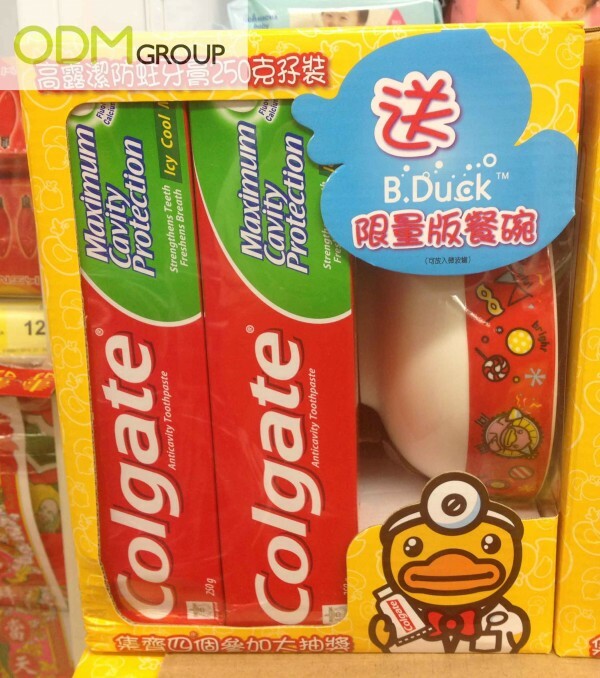 By offering on pack promo to their consumers, Colgate would be able to attract more sales. People love to receive free gifts when they make purchases. These promotional gifts act as incentives to encourage consumers into purchasing toothpaste from Colgate instead of other brands. Colgate has been offering similar marketing gifts in their on pack promos such as bowls, mugs, etcs. Although the kind of gifts are offered repeatedly, but have you wondered why they are still doing so? The on pack promo gifts offered by Colgate are very useful and practical to their consumers that they have received good response from their promotional efforts. Their sales can be boosted due to these promotional gifts offered! Hence, bear in mind to offer durable and useful gifts to your consumers if you are thinking of one. Branding is vital in increasing brand awareness for your company. The bowls have a large surface area on both the inside and outside of the bowl. When people use these custom branded bowls, other people would be able to notice your company brand name as well! To add on, these bowls are branded with a very famous cartoon character, B.Duck. This increases the perceived value of the promotional gift and people would be more willing to purchase in order to receive the branded bowl. Remember to brand your promotional gifts before offering them to your consumers! Get started with your very own on pack promo now to boost your sales.